THIS is regarding Juhi Bakshi’s article, "Fairy tales’ art of subversion" (October 14). Though I appreciate the writer’s zeal to instil a right sense of values and break the patriarchal mould, I differ with her entirely in the approach. I don’t think that it is fair to impose our modern day "politically correct" sensibilities on something that was written centuries ago. Fairy tales form a genre of their own. The authors were just reflecting certain accepted facts of their days division of labour where men went out to earn and protected their families and women stayed at home taking care of domestic chores. If they seem dated to us today, it is not because the stories were written with some covert intention but because today we have a different idea of gender roles. As for the emphasis that the writer points out was laid on physical appearance I think the writer has missed one crucial point that the princesses’ external beauty was but a manifestation of their inner beauty and if the witches’ are deformed, not simply ’ as we understand the word, it was because of the evil and wickedness inside. It was a vindication of inner beauty but in very simplistic terms a way of reinforcing certain abstract values for the easier understanding of children. The author builds a case for rewriting these fairy tales, which incidentally has already been done in the aptly named Politically Correct Bed-Time Stories. But instead of interfering with something that is a part of traditional children’s folklore, the way our equally politically incorrect Panchtantra tales are, wouldn’t it be more fruitful if we check the terribly retrogressive works we continue to churn out even today — the hideously disproportionate Barbie dolls, the petite and demure heroines of Mills & Boon and Hindi serials where women really are at the mercy of men? The moral ground that the writer has sought to claim appears to be shallow. 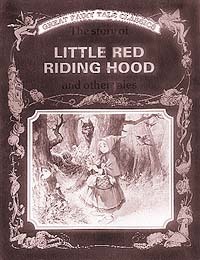 One thing that is simply forgotten in building up the case for initiating a change in the nature of fairy tales on which our children are supposedly growing, is that the tales that are cited are of the Victorian Era of England and Europe. Those were the dark ages of Europe and the literature mirrors the social realities of the time. We have still not been able to discard the perception that English literature is the best suited for our children. Besides, the readers of these tales are still a miniscule minority. An alternative to this is the Indian folk tales, be it from Panchatantra. Jataka tales or even Amar Chitra Kathas which, apart from huge span of time of more than 10000 years, is full of wisdom, democratic virtues, social uprightness and positive role models. Rarely would an example of so-called subversion be found in them, especially in the stream that pertains to children. This refers to the write up "Just good looks do not see you through" (October 14) by Taru Bahl. You may see all the beauty of a face in a single glance or a minute’s stare, but you can not know a person’s mind and heart and soul so quickly. Hence passion which is inflamed by a fair complexion or lovely eyes or a shapely nose does not last long even though it is quick to be kindled. True love grows deeper and richer with time. True love is a priceless blessing. Search for it; find it; keep it, and cling to it all your life. It is not strange that a woman would try to maintain the charm of her youth. But when appearance alone becomes, as it often does, the sole goal of one’s life, one may not only become proud and arrogant but may be maladjusted. Many persons look awkward and ridiculous while supporting the so-called latest cuts and style. One needs to realise that physical beauty is only skin deep and can never compensate for one’s intellectual and cultural backwardness. Instead of concentrating on transient looks and charm, one should strive to attain understanding and maturity. One’s aim should be to inculcate and develop in one’s personality a beauty and charm that are lasting and ever pleasing. This is with reference to the write-up "Dreaming of shoes" by Vinaya Katoch Manhas (October 7). It is highly ridiculous to say that dreams of shoes are not very common. It appears that the writer looks for too much meaning in dreams of shoes. Dreams of shoes, their cost, their becoming ragged or soiled should nor be considered good or bad omens.